Back in the early 1990’s, novels like Neuromancer and Snow Crash painted a vision of the future where most aspects of society are controlled by universal networks of computers. These powerful works of fiction gave birth to the term “cyberspace.” A whole new “cyberpunk” generation believed the message, lending instant credibility to a dubious techno-social experiment known as The Internet. The rest is history, though much of that history remains to be written. 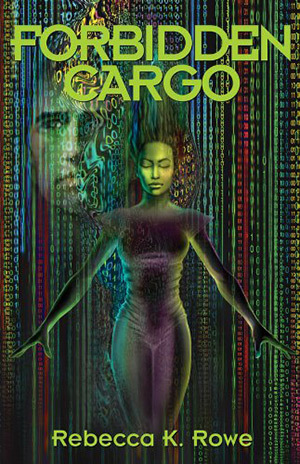 Forbidden Cargo, by author Rebecca K. Rowe, traces its heritage to a vibrantly dark cyberpunk future, an intricate blend of virtual and physical realities. Society is sharply divided into above-ground luxury and below-ground poverty, a feasible consequence of today’s socialistic experiments. Factions of drones, religious sects, drug lords, and techno-wizards struggle to co-exist in the dangerous warrens of the Denver Underground, occasionally interacting with politics, law & order, and business conglomerates from above via ubiquitous “MAM” computer networks. Each faction of society operates with internally consistent rules and ethics. Information is power, and power is life. Rowe convincingly smashes the novel’s cyberpunk heritage with her realistic portrayal of Earth’s off-world colonies. 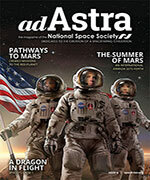 Spaceflight is routine, and Mars is the new frontier. Its thriving settlements are safe havens for scientists who perform experiments that are far too dangerous or disruptive to be condoned on Earth. The grip of the MAM is weak on the frontier, leading to revolutionary research that can eliminate the bonds of repression or destroy all of humanity. Within this perilous future, Forbidden Cargo takes the reader to the next logical step: the evolution of humans who can sense and manipulate the spidery tendrils of the MAM directly without requiring technology to plug in. An exiled scientist on Mars has bred several enhanced human nanogens, called “Imagofas.” Back on Earth, the powerful Council is none too pleased. They seek proof of this disruptive threat by kidnapping an Imagofas and bringing her to Earth to stand trial. Their paid mercenaries actually bag two young Imagofas, Sashimu and Thesni. At this point in the story, Rowe’s richly woven society begins to simmer and boil. Several factions, each with agendas at odds with the Council, conspire to free (or kill) the Imagofas. Separated by a lunar spaceport “accident,” Sashimu and Thesni must learn to navigate the Underground and the MAM in order to find each other, survive, and return to their home on Mars. Readers experience the dysfunctional culture of Earth through the eyes of the two alien women, an effective technique that amplifies the societal diversity. We care about the characters because we share their displacement. Forbidden Cargo is an exciting page-turner, a non-stop explosion of action and adventure filled with memorable characters. My personal favorite is Prometheus, an artificial intelligence (AI) struggling to find sentience by capturing a virtual catfish with a virtual gourd – a devious challenge posed by its creator, Creid Xerkler, the father of the MAM. Prometheus embodies another rich side-plot in the story, the dangers and promise of AI, a thread that brilliantly parallels the main storyline of the human nanogens. 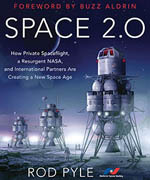 NSS members will enjoy the balance of lunar and Martian settlement in this novel, as well as the promise of cheap access to space opening up the high frontier to grand ambitions and societal evolution. The spaceport on the Moon launches us toward adventures beyond. A domed city on the Martian frontier – the safety of home – constantly calls to us. Will we listen?